For the past four years, Eduardo Burgos and Franco Marcano have been waking early to a strong cup of Puerto Rican coffee and heading to their farm in Las Piedras, near the center of the island. Burgos, a sociologist, and Marcano, a mechanical engineer, run Cosechas Tierra Viva, where they grow baby kale, arugula, cilantro, green beans and eggplant for local farmer’s markets, restaurants and private deliveries. Their work has never felt more urgent than over the past nine months, after Hurricane Maria devastated Puerto Rico and exposed the island’s vulnerability to natural disasters and severe lack of homegrown food. The two men, both 28, are now working to expand their enterprise. They’re part of a rising group of agricultural entrepreneurs who are advocating for more farms on the island, an effort that has received federal support. The goal of bringing more farms to Puerto Rico isn’t new. Many of the islanders who are farming today started their own agriculture businesses after the 2009 economic crisis hit. But what’s happening now is even bigger, as islanders have begun to see farming not just as a source of employment but as a crucial source of the food Puerto Rico needs to survive. 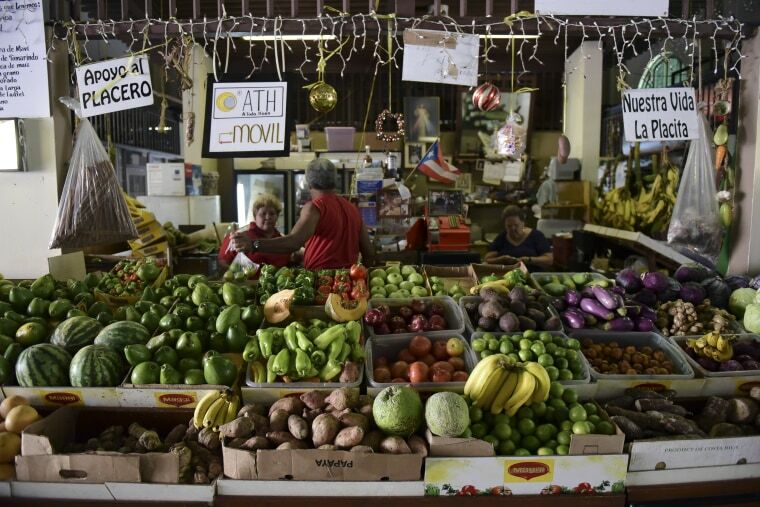 Puerto Rico imports about 85 percent of all its food, producing just 15 percent of what’s consumed on the island. 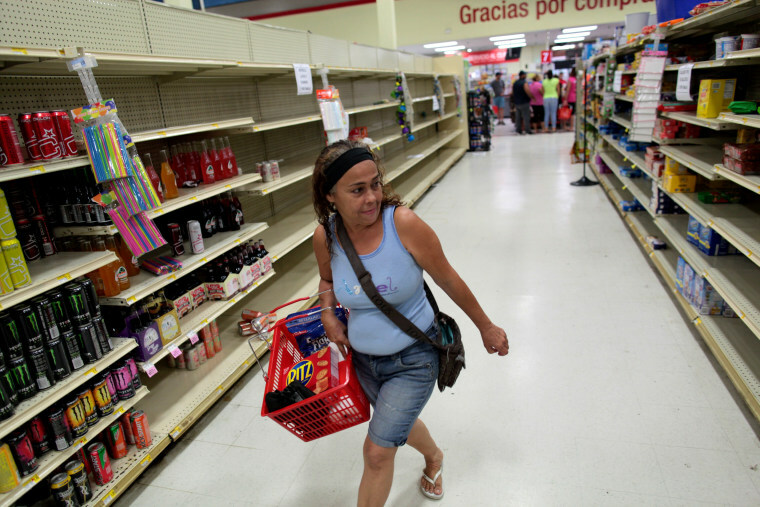 After the crippling storm last fall, the island’s impassable roads, devastated power grid and lack of telecommunications meant only a handful of supermarkets were open. People stood in long lines and walked the barely stocked aisles looking for canned, nonperishable foods. Many went hungry and relied on emergency responders and FEMA meals. Some areas were very hard to reach, and residents survived on the food local groups were able to provide. For Carlos Suárez, the USDA’s lead representative in charge of hurricane recovery efforts in Puerto Rico and the U.S. Virgin Islands, the storm showed a need for the island to be more self-sufficient when it comes to food production. “It made the public understand it’s not a matter of if, but when,” that transition should take place. Until the late 1950s, agriculture was Puerto Rico’s main economic sector and employed 43 percent of the workforce. The island used to export sugar cane, coffee and tobacco, mainly to the mainland U.S.
At the time, the island’s government saw manufacturing, not agriculture, as the future and shifted the workforce in that direction. 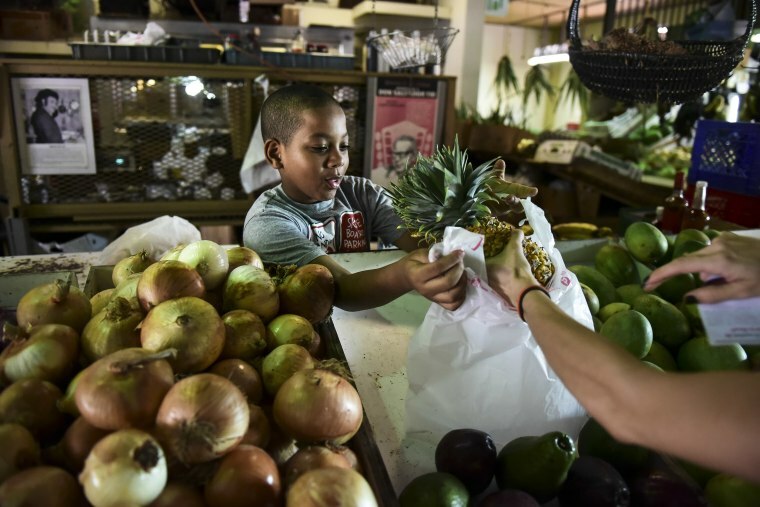 Agriculture languished, and today Puerto Rico imports 85 percent of its produce. The Department of Agriculture hopes to reduce that to 65 to 75 percent by the end of the year. 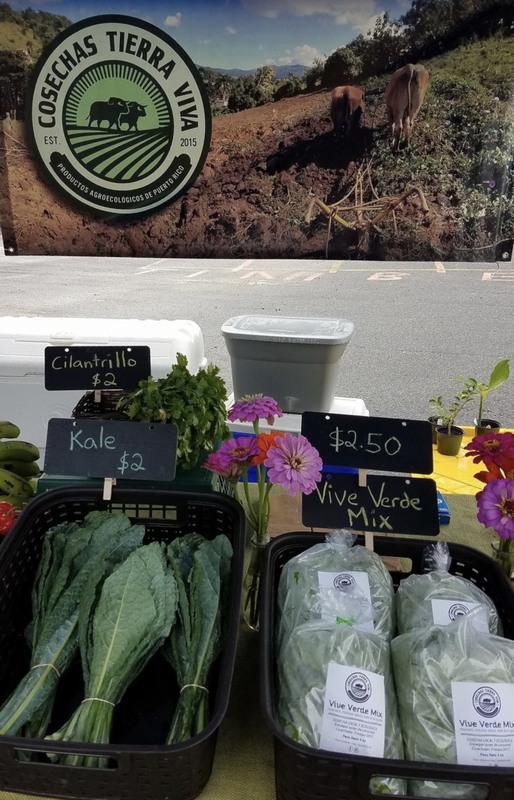 With this in mind, Suárez has been living in Puerto Rico since the hurricane’s aftermath,coordinating programs to foster agriculture growth and support the agro-entrepreneurship movement that was already underway before the storm. Applications for financial assistance programs for farmers have tripled since Maria, said José Castro, a manager of assistance programs for the USDA in Puerto Rico, during a meeting in June. According to Suárez, more than 800 farmers have taken part in workshops on how to join Puerto Rico’s agricultural sector or how to revamp their farms after Hurricane Maria. In 2011, attorney Rebeca Feliciano Bras convinced her husband, a civil engineer, to start their own agro-business called Setas de Puerto Rico, Spanish for Mushrooms from Puerto Rico. 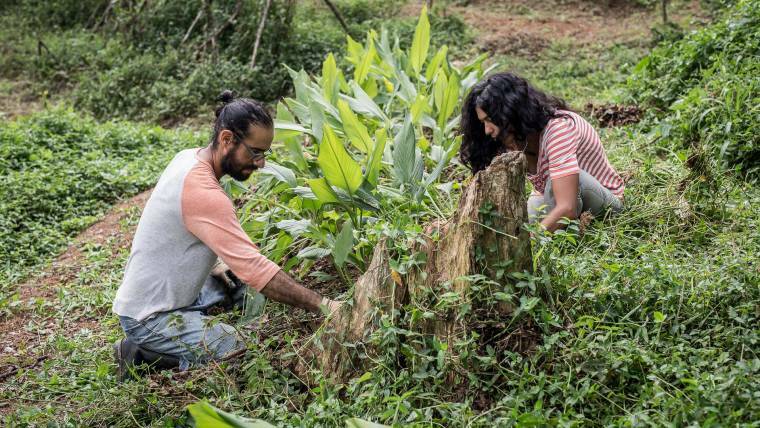 For the past seven years in the mountains of Aibonito, the couple has run the first and only plantation that grows and distributes mushrooms on the island. 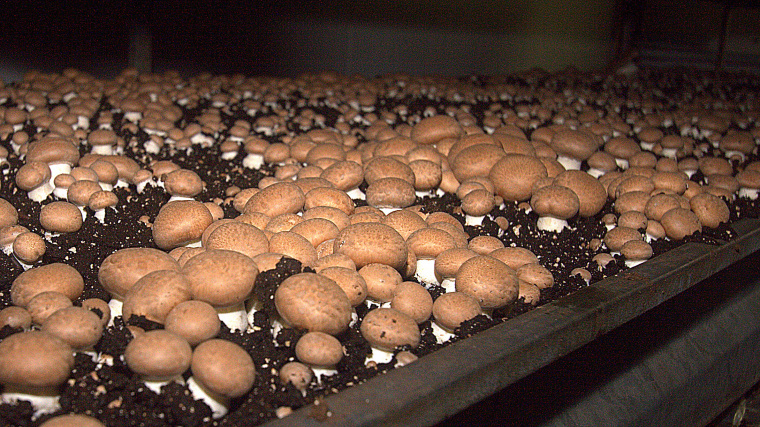 Hurricane Maria destroyed the generator that kept the mushrooms growing in a controlled environment, killing the entire crop. After the storm, Feliciano Bras and her husband installed a new generator and quickly grew more mushrooms, but they had one big obstacle: “Without transportation, I couldn’t sell,” said Feliciano Bras. The couple spent nearly a month cleaning debris from surrounding roads so that trucks would be able to drive in and distribute her produce. “I felt despair. I had food — but the roads were blocked,” she said. The couple persisted and they started selling mushrooms just in time for Thanksgiving at local supermarkets and food clubs. “Everyone was tired of canned foods! And for them, seeing our product was like a relief,” Feliciano Bras said, noting the positive response she received on social media. Hurricane Maria devastated about 80 percent of all the island’s crops and severely damaged the island’s dairy industry and plantain and coffee plantations. “But agriculture is one of the industries that can recover the quickest,” said Almodóvar, of the USDA’s Natural Resources Conservation Service. Crops like lettuce and tomatoes are ready to harvest 45 days after being planted, he said. On Burgos and Marcano’s farm in central Puerto Rico, all the crops were destroyed in the storm. About a month after Hurricane Maria, they were ready to plant again and they decided to make their operation even more self-sufficient. 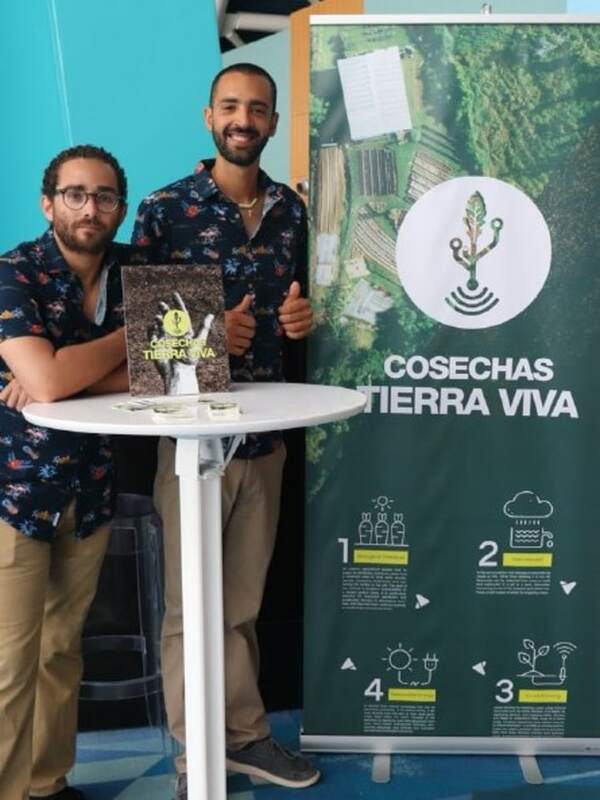 Burgos and Marcano already ran a “smart farm,” which uses sensors to track the temperature, wind and air pressure around crops and irrigate the plants as needed. Now, they decided to convert the farm from partly solar energy to fully solar and shifted their irrigation system’s source to rainwater. “Maria was the push we needed to execute the ideas we had to expand our production,” Burgos said. While Marcano and Burgos welcome the recent government initiatives to encourage farming, they’re concerned overproposals that would reduce the economic incentives to grow more than one crop, saying that “it might make things worse for multi-crop growers” like themselves. With hurricane season already underway, growers like Feliciano Bras suggest including local farmers in emergency planning conversations to avoid the crippling food shortages people experienced during Hurricane Maria.